THIS report describes the results of four seasons of archaeological excavation that took place between 2009 and 2012 at Bective Abbey, Co. Meath. Bective, founded in 1147, was the first Cistercian monastery in Meath. Research excavations revealed the farming methods practiced by this monastic order, long credited for much agricultural innovation in Ireland. The chance discovery of a medieval barn – with drainage systems, plough and grain store – proves that the abbey acted as the nerve centre of their vast (1,800ha) ecclesiastical estate farm. Finds from the Abbey’s fifteenth century remodelling and subsequent transition into Tudor mansion, bring to life the material culture of the Abbey before and after the reformation and confiscation. The book also includes fresh accounts of the Abbey’s history and architecture, detailed plans and original reconstructions. Reports from thirteen specialists examine in detail the finds from the excavation, including the largest bone and environmental assemblages ever recovered from a rural monastic site in Ireland. This analysis reveals aspects of the Cistercian diet and behaviour that represent a compromise between local circumstances and the harsh rule of the order. The book will provide an indispensible guide for all those planning to visit Bective Abbey and it is an essential study for those interested in the Cistercian order and the medieval history and archaeology of Ireland. Geraldine Stout, an archaeologist with the National Monuments Service, is the foremost authority on the archaeology of the Boyne Valley. She has published on various aspects of the prehistory and historical geography of the Valley including Newgrange and the Bend of the Boyne (2002) and Excavation of a secular cemetery at Knowth Site M, Co. Meath (with Matthew Stout, Wordwell, 2008). Her current research interest is the landscape of the Irish Cistercian grange. 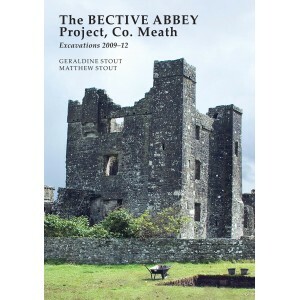 The Bective Abbey Project is one aspect of that investigation. Matthew Stout lectures on medieval archaeology and landscape history in the School of History and Geography, St Patrick’s Campus, Dublin City University. His main research interests are in early medieval Irish settlement and his publications include The Irish ringfort (1997) and Atlas of the Irish rural landscape (edited with F.H.A. Aalen and K. Whelan, 2012). He has worked on aspects of the archaeology of the Boyne Valley since the early 1970s and has published a guide to its most iconic monument – Newgrange (with Geraldine Stout, 2008).